I was a really lucky kid being born on a farm in New Zealand to riding parents. I starting riding when I was minus nine months ie. Mum rode as a matter of necessity helping manage the sheep and cattle on the farm when she was pregnant. It was no surprise to anyone I was horsey as my parents like to recall a story where, as a 2 year old, I grabbed the bit rings of our very kind stallion “Iceblock” and said ‘come on horse’ (yes, my older brother and I choose the name – our parents may have regretted letting us have naming rights…). One of my first teacher was a little black Shetland who had the bushiest mane I have ever seen – your could literally loose a back pack in that mane. He also had a very subtle way of moving his foot on top of yours when you weren’t concentrating – lesson number one – horses are heavy even if they are very small! Then along came “Dinky” – he was my brothers horse but we would share. His forte was dropping his shoulder, with the planning and timing of a physics master, so you would land right in the middle of a thistle. 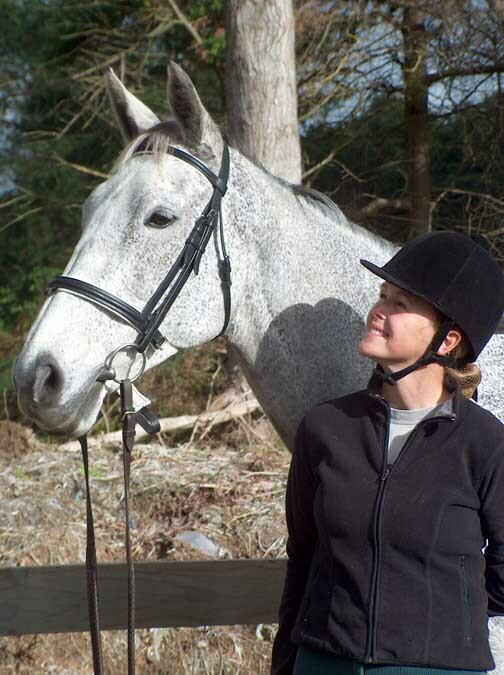 Lesson number two – horses are smart and have a sense of humour! We then got to enjoy the elder gentleman “Tony the pony”. He seen huge at 14.2hh but was so gentle and honourable that we felt safe way up there. The arthritis keep him sedate which was a good thing as we grew up on steep, clay, hill country with underground holes, bogs and slips – a steady, sure-footed horse was a must. Lesson number three – some horses really have your best interests at heart. Then I felt like the luckiest girl in the world – I got my own pony! She was a dun with a black mane and tail called “Cheetapo”. Mum embroidered her name on a folded white towel, which, just quietly I still have, and I thought I was so flash! I hadn’t been to pony club at this stage so I didn’t really know what flash was – anyway back in the 70’s flash wasn’t what flash is now…on no, horse still travelled in cattle trucks and the one saddle fits all rule applied – very different! I had a bridle made of leather dog collars which did the trick fine.